Where to Have a Drinking Party? Otaru Beer That's Where! 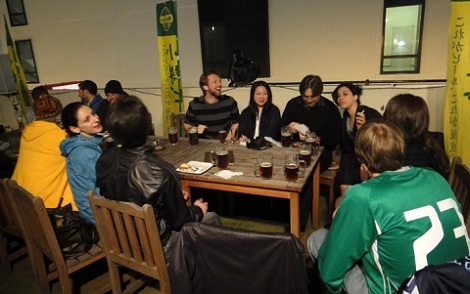 One of the best places to have a drinking party is at Otaru Beer restaurant in Otaru and Sapporo Japan. 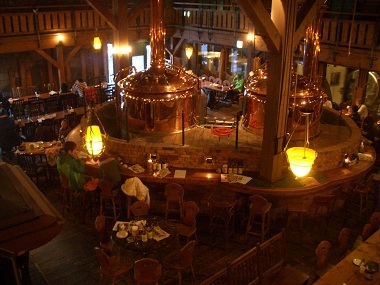 They serve the best Japanese beer - Otaru Beer brewed in-house by their German brew meister, Johannes Braun. Otaru Beer is a Japanese Beer, but is brewed using traditional german techniques, therefore Otaru beer tastes sooooo much better than any other Japanese beer I have had and is always my first choice, if I can get it. 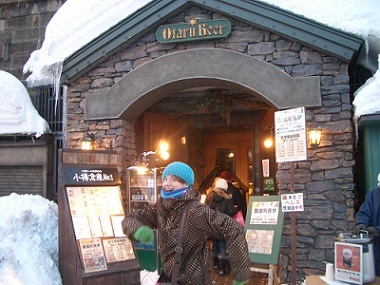 There are three Otaru Beer establishments at present. The main one in Otaru city, Zenibako and the other in Sapporo city. 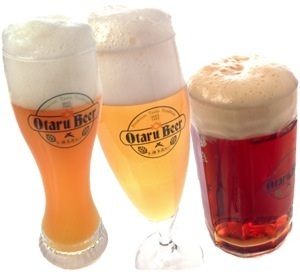 Otaru Beer has three kinds of beer on their regular menu and they also bring out seasonal beers. The Pilsner (left) contains fresh hops providing a light taste. The Dunkel (right, my favourite) is a darker beer with a malty caramel taste and is nice and smooth. The Weizen (centre) has a very distinct citrus flavour and very refreshing. It kind of reminds me of Hoegarden. They even have non-alcohol beer. The seasonal beers are usually strong, about seven to eight percent. They are awesome. The main Otaru Beer restaurant in Otaru city is located along the canal in Soko No.1 warehouse. Every winter in February, around the same time as the Sapporo Snow Festival is the Otaru Snow Gleaming Festival. Smaller and much less crowded than the festival in Sapporo. You will be able to see lots of small candle sculptures made by the locals. Very romantic indeed. There are regular trains from JR Sapporo station to Otaru. It takes approximately 35 minutes and costs 620 yen one-way. From JR Otaru Station walk down the main road in front of you, down the hill towards the sea. Once you reach the canal you will see signs for Otaru Beer. 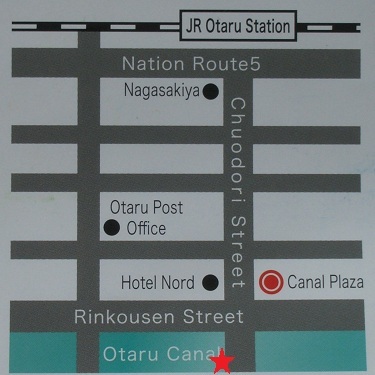 It takes approximately 10 minutes from Otaru JR station, on foot. 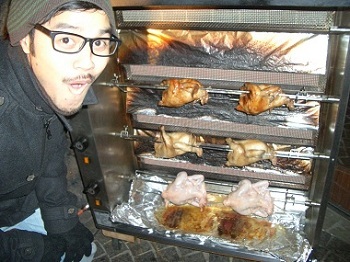 Also, at the entrance of the restaurant you will see a barbecue rack of whole chickens roasting.....hmmmmm. The Sapporo branch is named Otaru Beer Liebspeise and it is located in Odori in the Parade building. 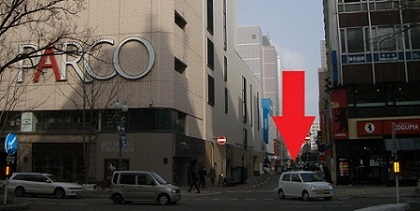 From Odori subway station, on gound level, go down the side road next to the Parco building (see below), across the road from 4 Plaza(Yonchome plaza). The Parade building will be on your right. Now this is defintely THEEEEEE best thing about Otaru Beer. This club is held on the 4th Friday as well as the following Friday of every month from 18:30pm until closing 24:00. And get this, the cost is 1,800 yen for nomihodai (all you can drink) until closing....so that's 5 and a half hours all you can drink!!!! 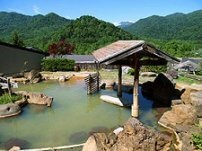 Usually nomihodau costs 1,800 yen for two hours. Reservations are required so please call in advance as it is very popular, as you can imagine. There's also lots of German singing. The words are fairly easy to pick up after a couple of goes, so don't be shy to join in. It's definitely a drinking party not to me missed.